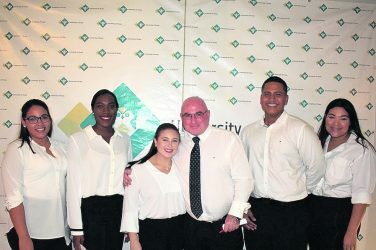 ORANJESTAD — Recently, Emely Riddersaat of Aruba Tourism Authority had the great pleasure to honor Loyal and Friendly visitors of Aruba as Distinguished Visitors. 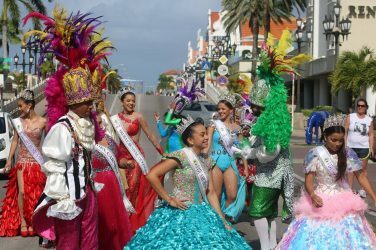 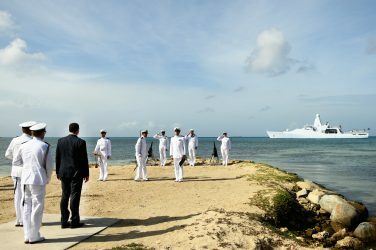 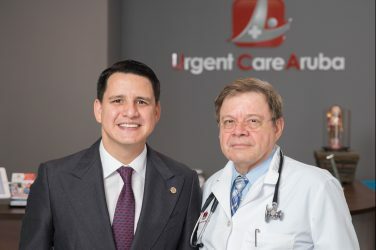 The symbolic honorary title is presented on behalf of the Minister of Tourism, Transportation, as a token of appreciation to the guests who visit Aruba between 10-20 and more consecutive years. 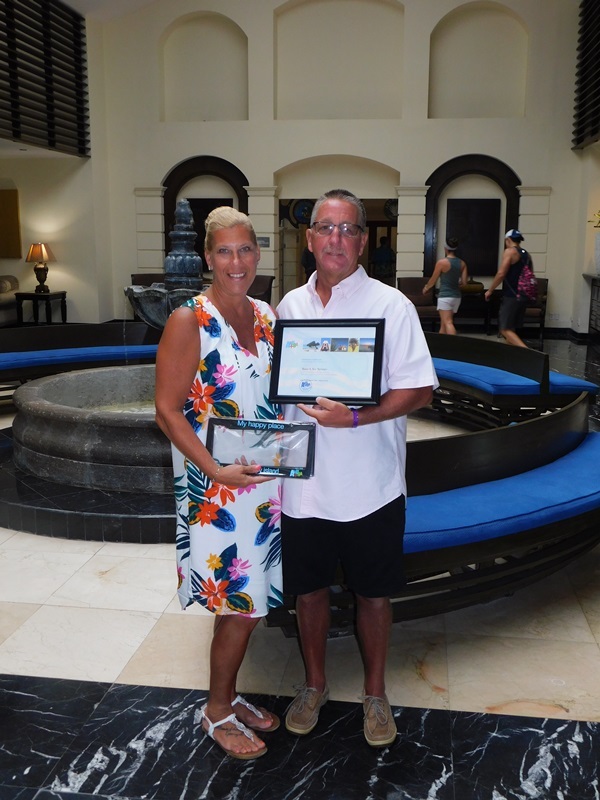 The Honorees are Mr. Brian & Mrs. Sue Springer, who have been coming to Aruba for 11 consecutive years and are staying at the Barcelo Aruba. 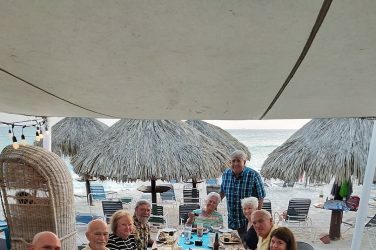 The couple has taken several of their family and friends during their trips to Aruba too. 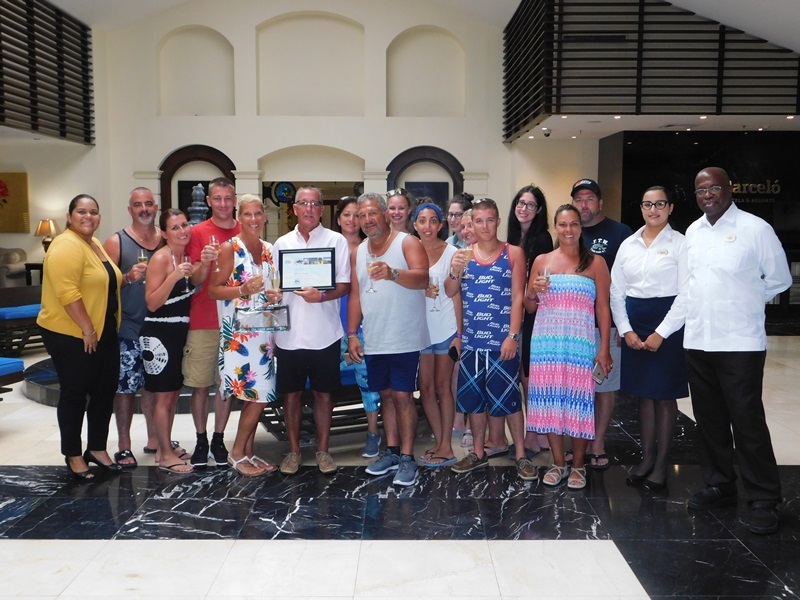 Emely together with Belinda, representative of Barcelo, presented the certificate to the honorees and handed over some presents to them and thanked them for choosing Aruba as their vacation destination and as their home away from home for so many years.